Are you in need of a new septic system? 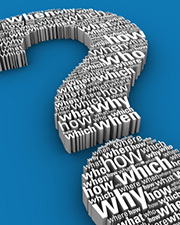 Is your current septic system failing? Buying a home and property is a major investment; a large portion of that investment is the property’s sewage system. While many areas allow for city water and waste management, others may not. In those areas a septic system will be needed for waste water treatment and disposal. If you are in need of septic system installation in Delano, the professionals at Custom Septic Inc. are available, and Minnesota state certified, licensed, and insured. Not only do we install septic systems but we also handle all your septic service needs including inspections, maintenance, and repairs. All septic sewage treatment systems require a septic tank. A septic tank is a container, sized for your properties sewage needs, that is buried under the ground. Septic systems also include a drainfield, also known as a leach field. There are some optional features like pumps, sand filters, and alarms that come with different septic designs. When installing a septic system, it is important to be sure you choose the correct design for your property; this will allow for optimal performance and will ensure no harm comes to the environment surrounding the tank and drainfield. * There are also “Performance Systems” which are variations of the above. The septic system design perfect for your home has all to do with the terrain, soil conditions and available placement area. To determine the proper septic design for your property our professionals will take a sample of your soil, also known as soil boring, because that is the main factor in the choosing the appropriate septic system. From then, a layout of the septic tank and drainfield will need to be designed and discussed to ensure you won’t need to use the space for another reason, there is no heavy weight on the determined areas and you don’t have future plans that will disrupt the septic function. The size of your septic tank is determined by the water volume used and the local jurisdictions for your area. Septic tanks can be constructed of concrete, fiberglass or even polyethylene. Usually the best placement of a septic tank is close to the home, the farther away the tank is, the longer the waste lines have to be, which can lead to increased septic clogs. The waste water is separated from the solids in the septic tank and then flows to a drainfield. This designated area has piping to distribute the liquid so that it can be evenly absorbed into the earth. A septic drainfield is extremely important and necessary for the function of the septic system itself. Placement of the drainfield, size and the type of drainfield has all to do with the projected wastewater flow, characteristics of your property’s soil and how level or deep the landscaping is. Most of the time each septic system design has a drainage field already specified but in some cases exceptions need to be made. If you’re searching for more information or have questions about Septic System Installation contact the licensed professional at Custom Septic Inc. by phone at (763) 218-4769, or fill out our Online Request Form today. 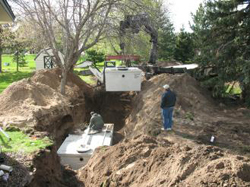 Back to Septic System Installation MN or click here for more septic system design and installation best practices.